My Crazy Life And Stuff: MYSWEETFIX: My Birthday Giveaway! Repost this contest on your blog with the picture of the prizes above, mechanics and a link back to this post. Comment below with your name, email address, and a link to your blog post reposting this giveaway. Giveaway ends in November 19. 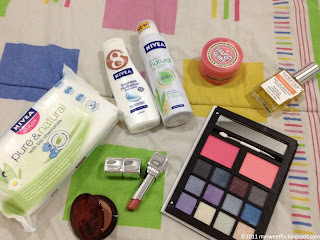 I'm really addict to giveaways and loved you blog for that especially!! my giveaway is coming soon! stay tuned!